Monday, August 27, 2018, 7 p.m.
Join master storyteller Tobias Wolff as he sits down for a fascinating conversation with author Katherine Maxfield. Known for his thoughtful approach to questions and his quick humor, Wolff will talk about his eventful life and will read an excerpt from the book he is currently working on. Books from his catalogue will be available for purchase at the event. 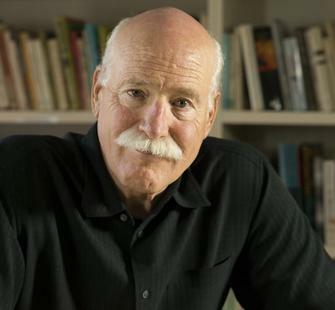 Tobias Wolff is one of America’s most revered writers. His short stories, novels, and memoirs have earned him three O. Henry short story prizes, The Rea Award for the Short Story, and the prestigious PEN/Faulkner Award for Fiction, in addition to a Guggenheim Fellowship and an array of other awards. Currently a professor of English and Creative Writing at Stanford, Wolff's critically-acclaimed short story collections include Our Story Begins, The Night in Question, and In the Garden of North American Martyrs. His memoir/novel This Boy’s Life details a difficult childhood as he grew up with a con man for a father, often learning by example. The book went on to become a feature film starring Robert De Niro, Leonardo DiCaprio, and Ellen Barkin. A second memoir, In Pharoah’s Army, records Wolff’s tour in Vietnam, highlighting the drudgery and disillusionment that many soldiers experience.